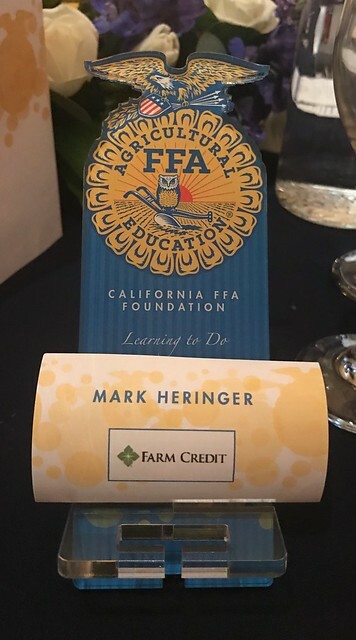 As part of Sharon's F@rm Credit connection, we went to the California FFA Foundation Blue & Gold Gala in Galt. We sat with Jeana and Larry. Jeana is on the board of the California FFA Foundation. We were hoping to see Jim and Suzy, but they were no shows... I was surprised to find out afterwards that Pat and Kelly were there. 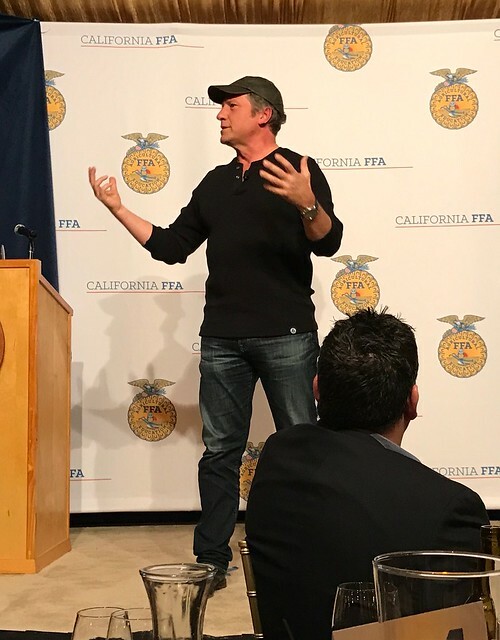 The keynote speaker for the event was Mike Rowe from Dirty Jobs fame. He was an excellent storyteller. Rowe told an extend story about filming a show on artificial insemination. I was in FFA in high school. I raised and showed pigs. At one point, I probably had as many as thirty pigs. Additionally, there are several types of FFA judging contests in which kids compete based on their knowledge of a particular subject. Each school has several different types of teams that compete against other schools. I competed in the accounting contests!